The main goal of this study has been to establish the Russian contribution to the initial stage of television. 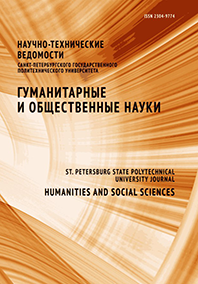 Complex research methodology has been used, the main method being comparison (of Russian and foreign projects) using the methodological tool of the theory of innovations. In the first half of the 1920s Russia was outrunning the advanced industrial countries in terms of developing the ideas of mechanical as well as electronic television. In the mid-1920s Russian technologies kept up with the foreign ones and even had a priority. By the end of the 1920s, when it was time to implement the ideas of television, the leader potential had been lost, there was no call for Rosing’s innovative capacities. The reasons for this situation are well-known: television was ahead of its time and science was not ready for producing the components; traditional Russian issues (technological and production problems) slowed down implementation of any innovative ideas. The study has revealed the importance of the reasons historically rooted in mentality that are still relevant today: these are the lack of confidence in implementing technical innovations independently, not following in the footsteps of the West, and the tendency to adopt risky administrative decisions. A burst of activity during scientific and technical isolation and a return to extensive foreign purchases when restrictions from the outside are weakened is typical for Russian history. It would be beneficial to consider these conclusions when developing a strategy of how Russia moves along an innovation-based development path.